Black and red chalks, stumped. On laid paper bearing the watermark Dove on three mountains, inscribed in a circle, surmounted by the letter F. 245 x 185 mm. 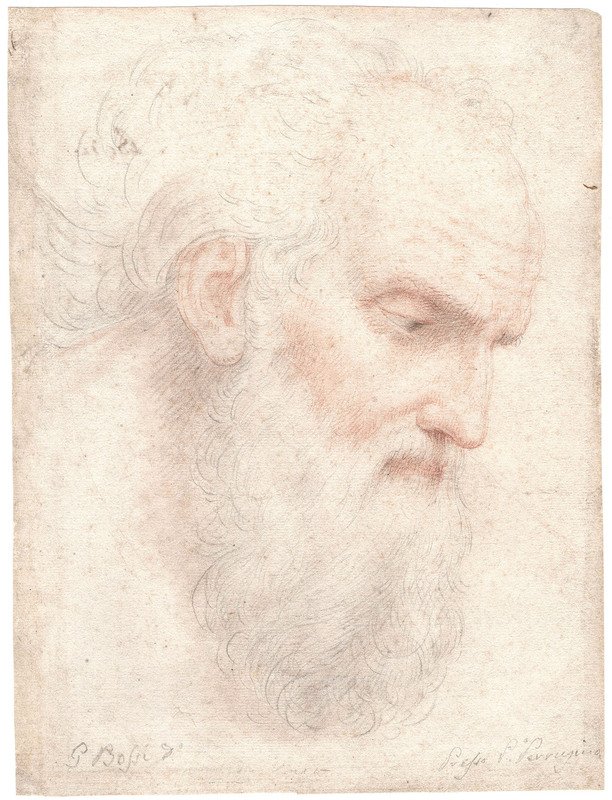 Signed in black chalk at bottom left G. Bossi d°, annotated by the artist at the bottom right Presso P.° Perrugino (sic). 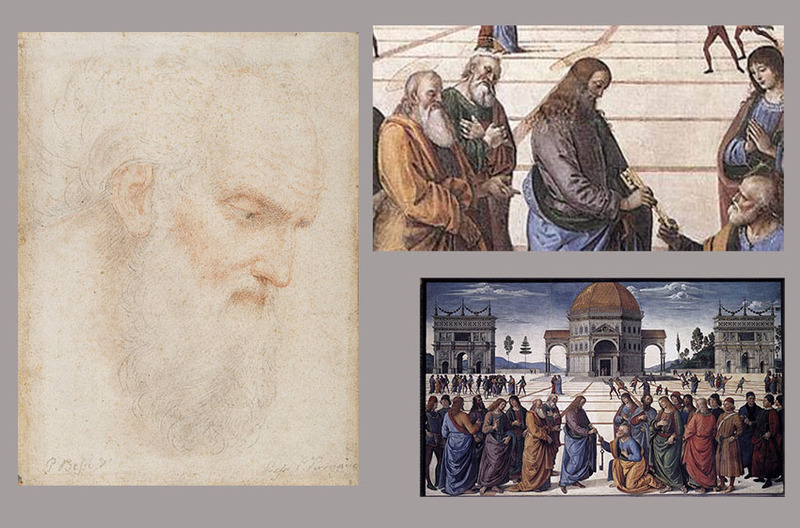 Another annotation by the artist in black chalk is on the verso: Presso Pietro Perugino / Quadro nella Cappella Sistina. 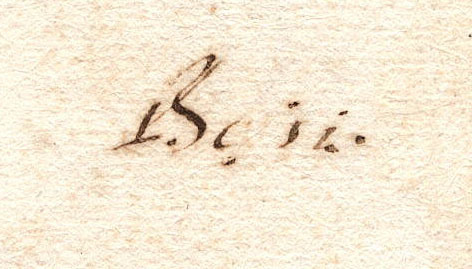 On the verso there is also a 19th century inscription Bossi in brown ink. 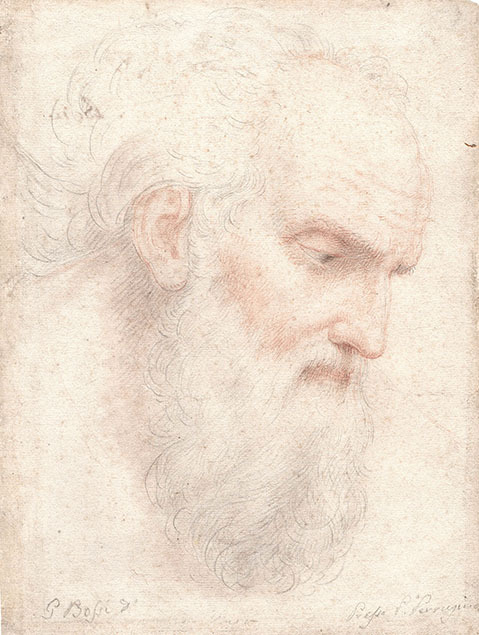 So the declared source of Bossi's drawing is the fresco by Perugino in the Sistine Chapel depicting Christ Handing the Keys to St Peter (1481-82). 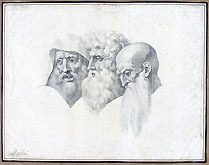 The comparison of the drawing with its source shows us that Bossi has not copied one specific head but he only got inspiration from the heads of Christ and the Saints to create his male profile. 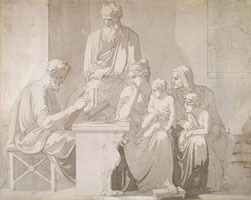 As Vittorio Azzoni kindly pointed to me this drawing has, in turn, inspired Bossi in the creation of his celebrated painting The Meeting of Oedipus with his Daughters in Thebes (1800-1805), which was exhibited at the Brera in May 1805. The painting is now in the Quadreria Crivelli, Trezzo sull’Adda. 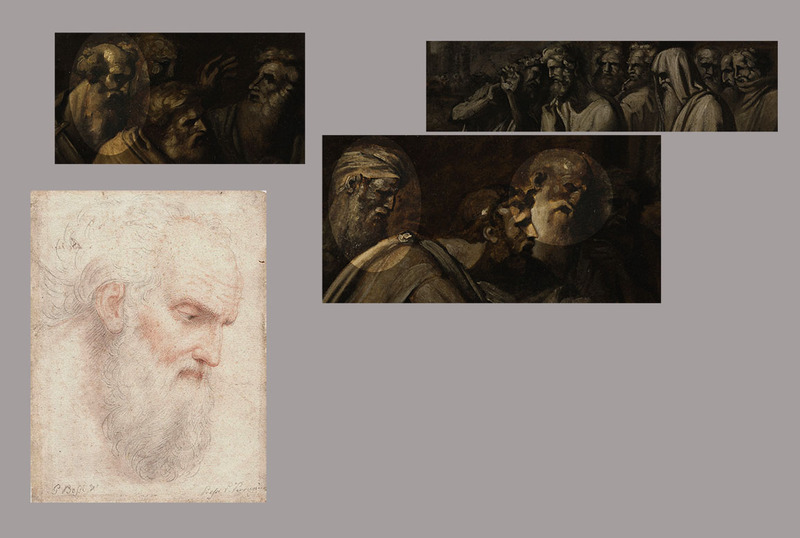 The Bozzetto, at the Galleria d’Arte Moderna in Milan, has recently been digitized at very high resolution by Google Arts & Culture and, comparing our drawing with it, we can see how it has influenced the execution of several virile heads with beards appearing in the composition. 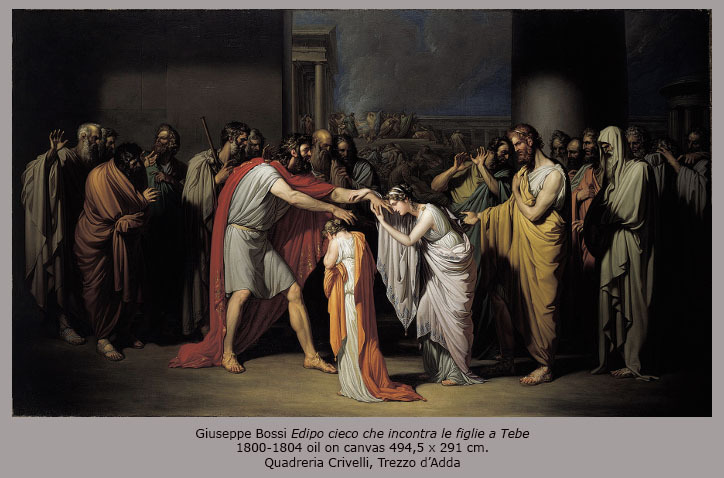 The relationship between our drawing and the Oedipus painting, leads to hypothesize that the drawing was executed during the first long Roman stay of Bossi, in the last five years of the 18th century.